Borgia and Torok may be gone, but vampires in Europe still want revenge on Michael Cameron. They plot to attack the branch of the Scholomance in Scotland, where Mike is both a student and a teacher of aspects of the Wiccan craft. Mike's latest mission from CSIS involves the kidnapped son of a nuclear scientist, and the need to rescue the scientist himself from inside North Korea. Mike still needs to isolate the elitists and decides to locate their castle in Austria, but the situation is much more complicated, including a possible attack on an International Summit at a remote mountain castle in the Austrian Alps. 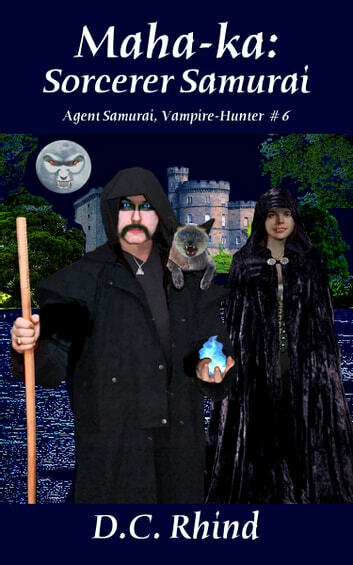 Darker forces than just vampires are at work and, as he discovers more about his long-buried Wiccan heritage, it becomes an entirely new game for Agent Samurai.